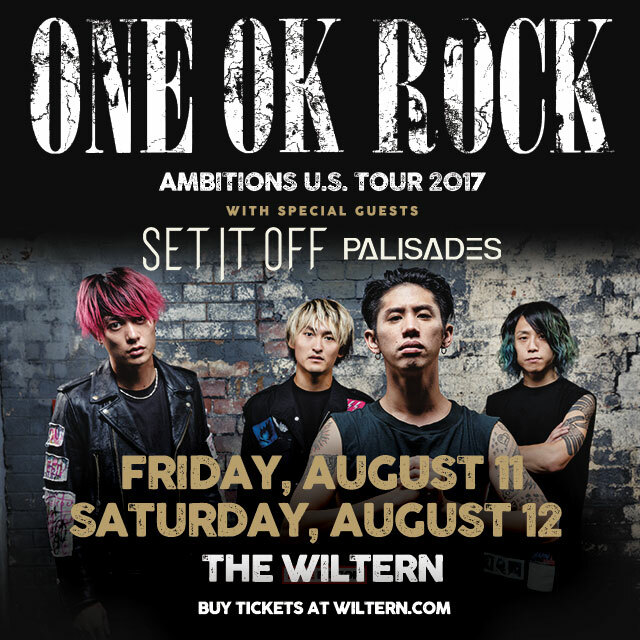 Fueled By Ramen recording group ONE OK ROCK has announced details of a massive North American headline tour. The “AMBITIONS U.S. TOUR 2017,” which will also feature a series of stops throughout Canada, is set to kick off July 6 at Las Vegas, Nevada’s Brooklyn Bowl. The coast-to-coast tour will feature support from special guests Set It Off and Palisades, and will continue through mid-August. The awards are set take place July 17 at Cleveland, Ohio’s Quicken Loans Arena. Fans can visit altpress.com/vote up until the deadline of June 30th to cast their vote. The album, which features “We Are,” “Taking Off,” “Bedroom Warfare,” and “I Was King,” arrived atop the “Global Album Chart” with 315,000 equivalent sales making it the best-selling album on the planet in its first week. “AMBITIONS” is available now at all DSPs as well as via the official Fueled By Ramen store. “AMBITIONS” – which follows ONE OK ROCK’s chart-topping seventh album, 2015’s “35xxxv (Deluxe Edition)” – is the iconic hard rock band’s milestone second all English language release. Comprised of vocalist Taka, guitarist Toru, drummer Tomoya, and bassist Ryota, ONE OK ROCK is among Japan’s most popular and beloved rock outfits, with each of their last five releases debuting in the nation’s Top 5, including the #1 blockbusters “AMBITIONS” and “35xxxv.” “35xxxv (Deluxe Edition)” marked the band’s official U.S. debut and first all-English language release which features the worldwide hit single/video “Mighty Long Fall,” now boasting over 40 million views at YouTube alone. Known for their thrilling live shows, the band recently completed a sold-out headline run in the United States and also performed two massive concerts at Shizuoka, Japan’s Nagisaen before a cumulative audience of more than 110,000. No strangers to the road, ONE OK ROCK have also toured extensively in the U.S., teaming with such like-minded acts as All Time Low, Sleeping With Sirens, Issues, and 5 Seconds of Summer. 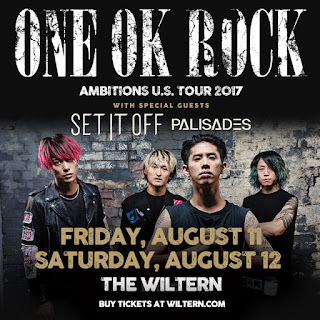 As if that weren’t enough, ONE OK ROCK has made explosive main stage appearances at rock festivals in Europe, South America, Australia, and the U.S., including a well-received run on the 2014 Vans Warped Tour.